oh, sweet joy! 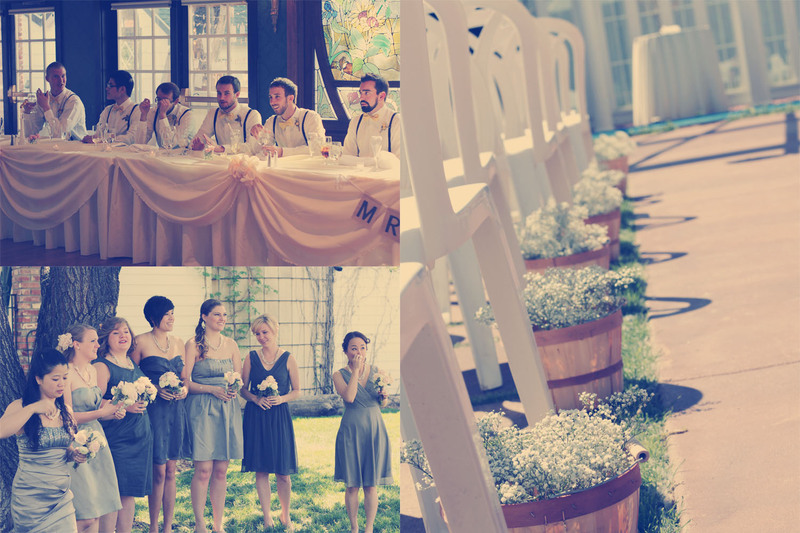 : wedding love. Is there anything more beautiful than a wedding? I've been working with a friend of mine, Joan for several months to help pull together sweet details and handmade elements to her wedding. We had lots of chick-fil-a & hobby lobby & thrift store dates to get everything ready and planned. Joan is super creative and artistic, so much of the design credit should go to her! 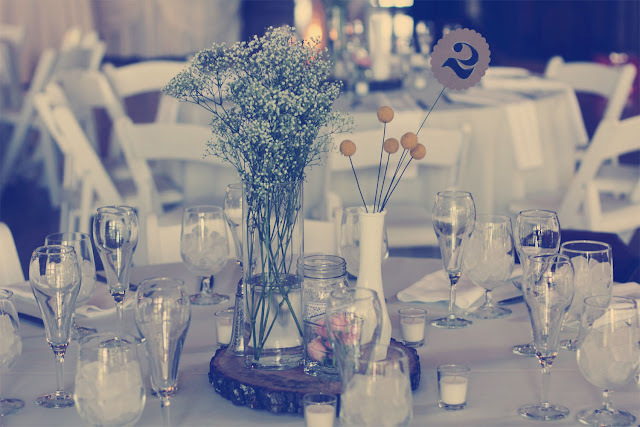 I simply helped pull together details, narrow down between choices, told her to stop looking at pinterest when she had too many ideas, give handmade advice where I could, and set everything up the day of. The day of the wedding, I arrived super early to set everything up. Cake table, centerpieces, floral arrangements, favor table, etc. Thank goodness there were lots of the wedding party there to help ;) It was lots of fun but a lot of hard work, but I know that I love how everything turned out...and I'm positive Joan did too! 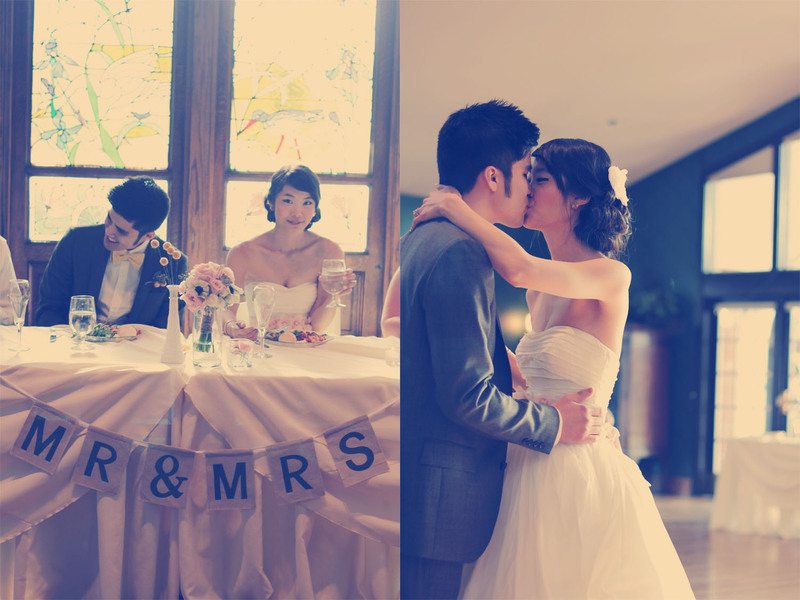 Here are some photos I was able to snap from Joan & Nam's special day. On each table centerpiece, there was a mason jar wrapped in lace that held "words of wisdom" cards for the bride & groom that sat on each place setting. We had simple glass hurricane glasses that held simple, yet stunning baby's breath. Each of the "milk glass" vases were actually just thrifted vases that we put puff paint on to create texture and then spray painted with white gloss spray paint. The bride hand-felted each of the billy balls instead of buying them. Joan also made the table numbers. A square glass vase held tiny rose buds. I love the subtle color. All of these elements sat upon a plank of wood that was surrounded by 5 votives. 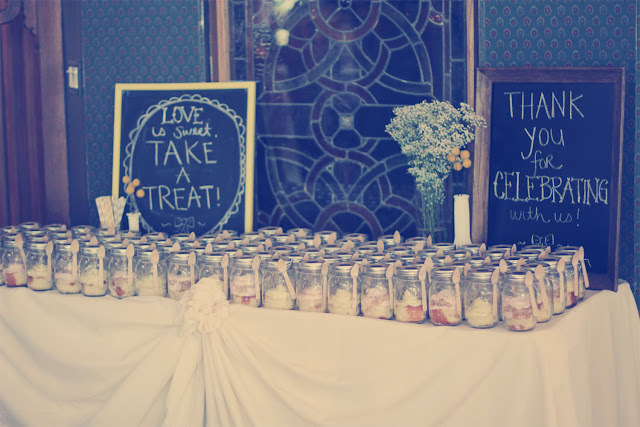 One of the sweetest elements was the guestbook. 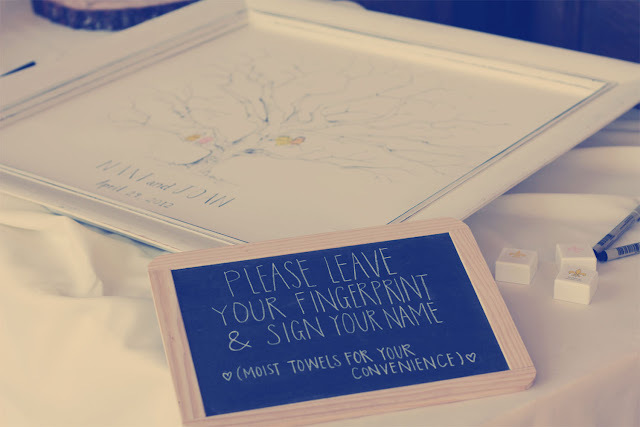 You stamped your fingerprint onto a "tree" and signed your name. CUTE! 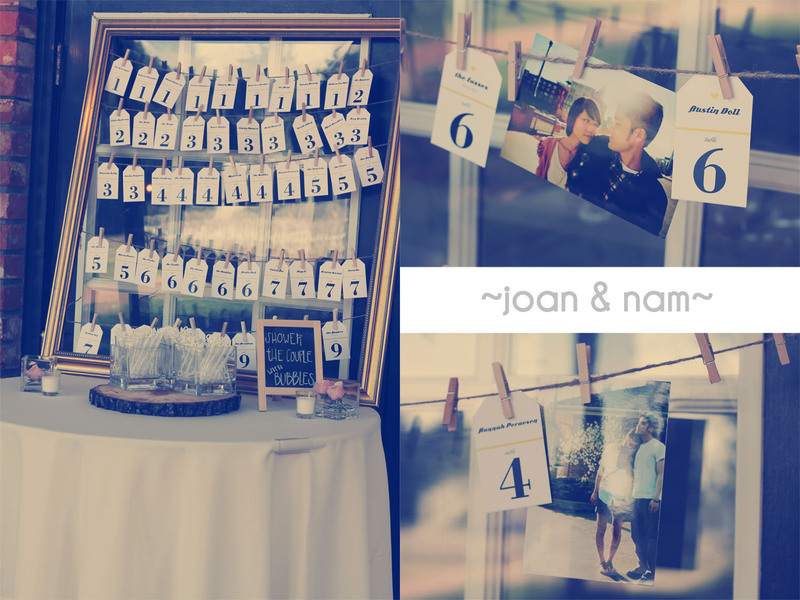 The table assignment cards were hung with photos of the happy couple on the "bubble" table. The bridesmaids each wore their choice of grey dresses. 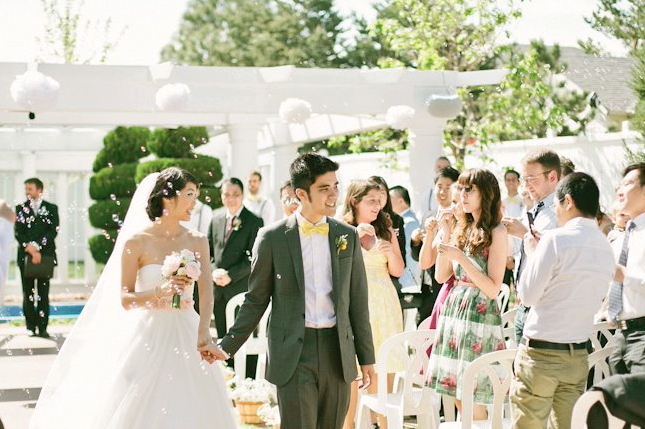 The groomsmen were adorned with adorable yellow polka dot bow ties. The ceremony was beautiful, but I can't stand when people snap photos during the wedding with their noisy cameras ((wedding etiquette, people. at least turn off your "dings" and other digital camera sounds. thanks.)) so I left that to the pros. 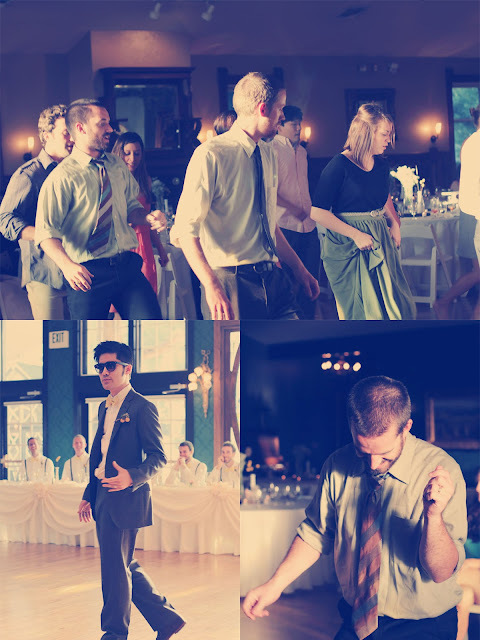 The reception was a blast and all I know is that The Well knows how to bring the party to the dance floor. Amen. 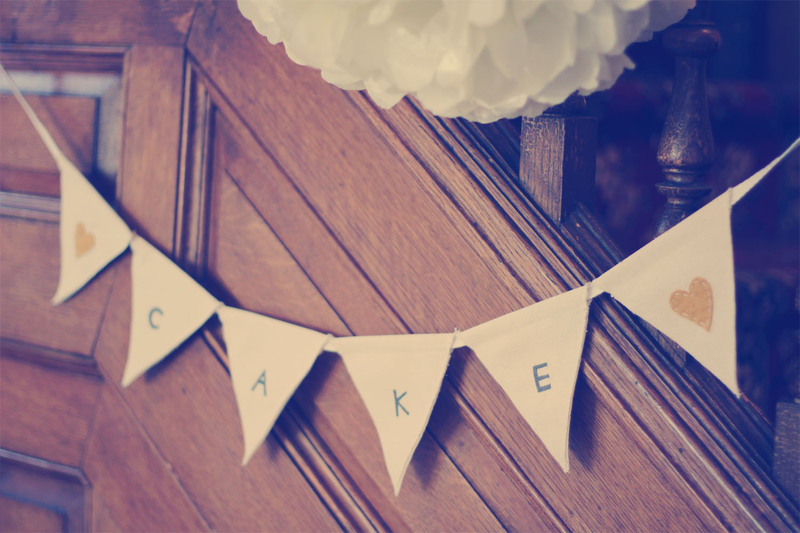 The cake table had a precious "cake" banner and a simple "Nam & Joan" chalkboard. 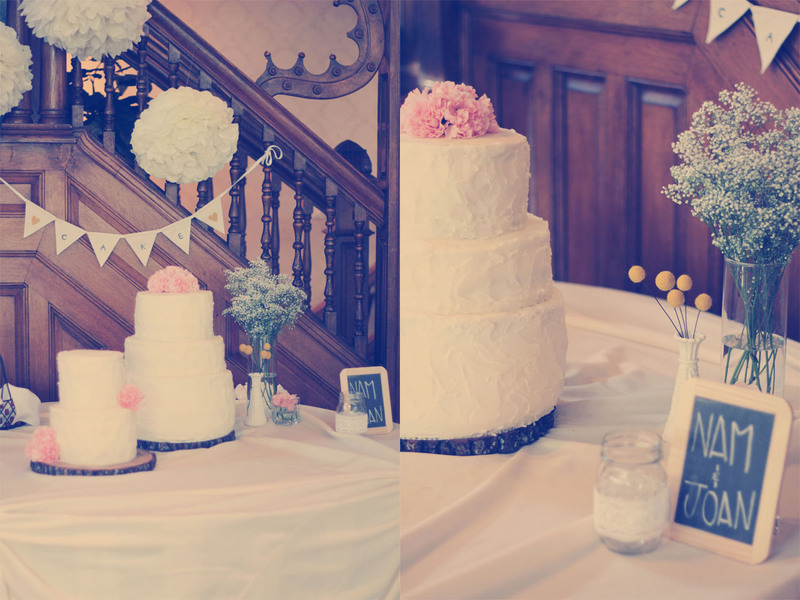 For continuity, we put the same elements as the guest tables onto the cake table. There were poms outside during the ceremony, so we brought in three to put above the cake table, as well. The cakes were sat on top of wood planks again. 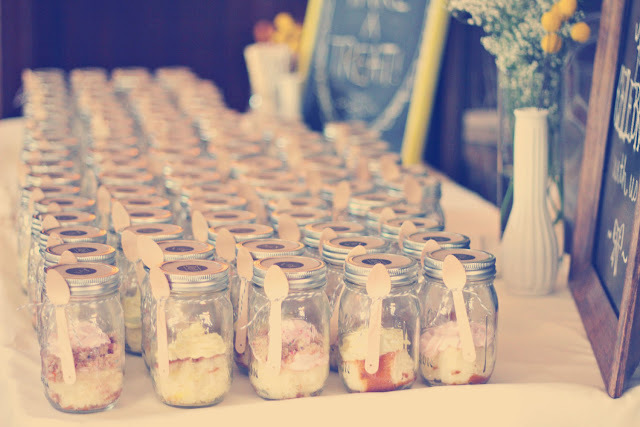 We made cake in a jar for the wedding favors and I love how they turned out. On their way out, friends & family took a little yum yum with them for the road. So cute & yummy! i love love love this. their wedding was so beautiful yet simple, i love that. you guys had adorable details! It turned out beautiful! That bride is gorgeous! BEAUTIFUL! and the cake in a jar is pretty much the best ever wedding favor. You two did a great job. It was simply beautiful!! Everything looks so great! 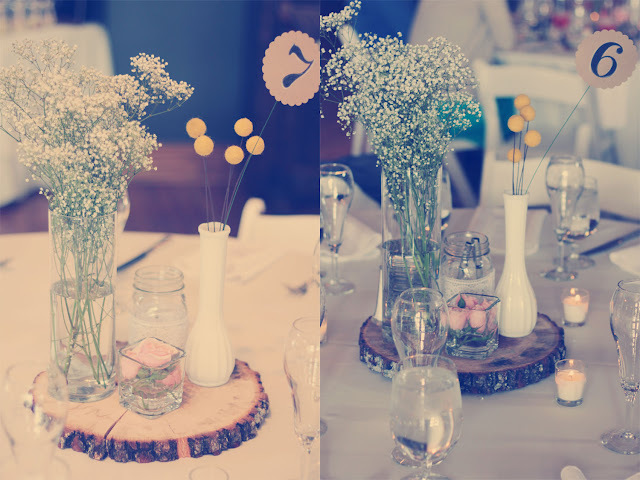 I love all the sweet details and the baby breath for centerpieces. It looks delicate and romantic. 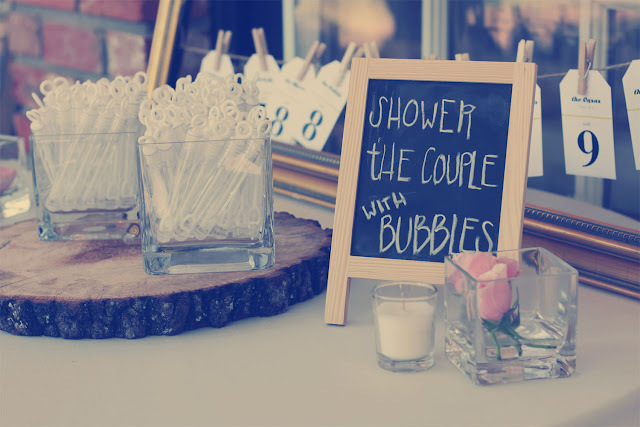 I LOVE the handwritten things and the guest book idea. Oh my, I think I want to get married all over again. 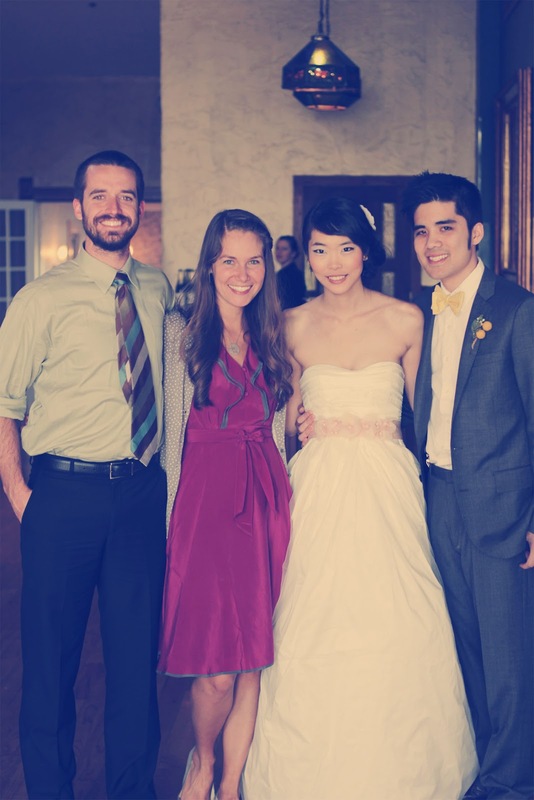 Talk about GORGEOUS–Joan is so lucky to have you as a friend, and her trusty wedding planning companion! Beautiful! Love all the handmade touches! Did you buy all the chalkboards? I love that you used them for all the signage.